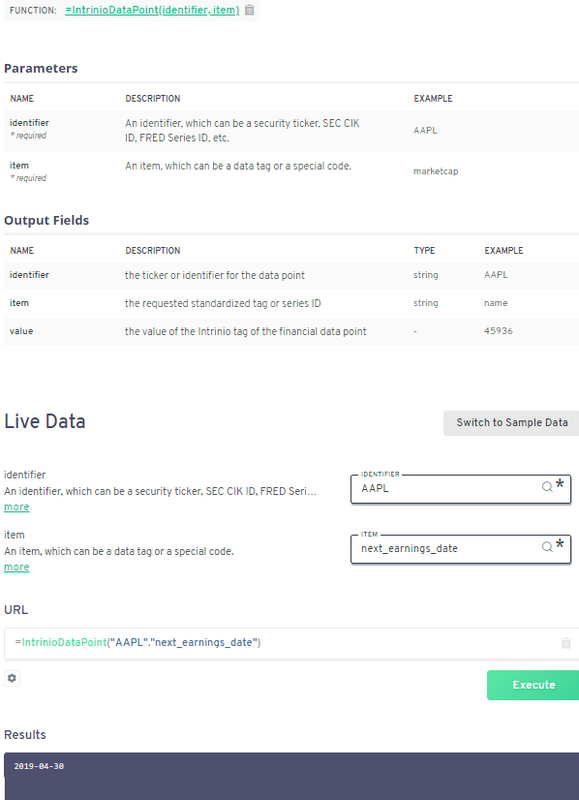 The full list of data types is available here and includes data points like earnings dates for the upcoming year, dividend status, and transcript URLs for conference calls. Historical earnings dates is available upon request. 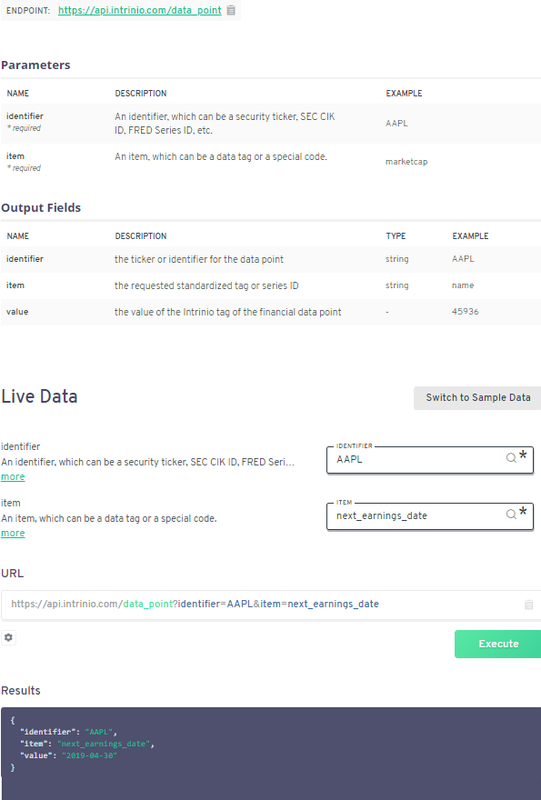 Instead of bundling data into a single, expensive, subscription, Intrinio offers an a la cart data marketplace where users can subscribe to just the data feeds they need. Once you have subscribed, you can upgrade or cancel your plan at any time and prices are listed on each product page. If you are unfamiliar with Intrinio's RESTful API, this documentation will get you started and includes SDKs in many languages. Using the API explorer will make it simple to build your API calls. Simply select datapoint, which returns the most recent corporate events dates, enter a ticker, and select a corporate events tag from this list. If you haven't installed the Excel add-in, it is quick and easy. The Excel Function Explorer will also build custom functions that work in Excel. You'll simply combine the =intriniodatapoint() function with a ticker and data tag. Using the API explorer to build custom formulas for Excel.